Thank you for attending Olinda-Ruthven United Church. We value all people and strive to meet everyone’s needs. Olinda-Ruthven United Church. You may print and fill out the form and return it or fill out the form and email it back to us. Did we respond to your needs today? Were our programs/services provided to you in an accessible manner? 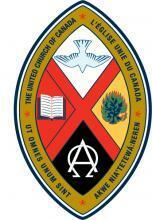 Thank you from the Accessibility Committee of Olinda-Ruthven United Church.